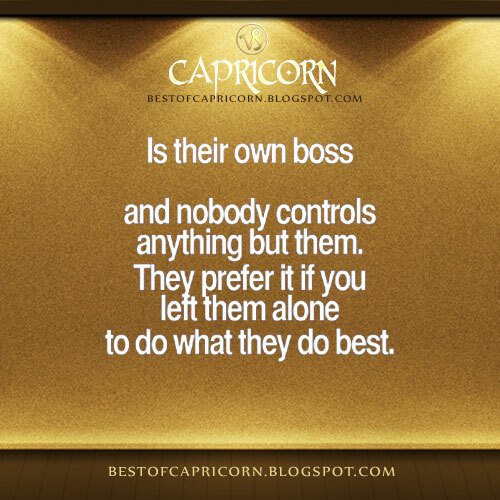 Capricorn Is Their Own Boss | Capricorn Life - Capricorns Rock! Nobody controls anything but them. They prefer it if you left them alone to do what they do best.